As much as we all like to be creating our dream jobs, there is a certain set of people, known as bloggers, who have not only crafted their dream job, but have also made it into a successful business. From Perez Hilton to Miss Malini and from Bryanboy to Leandra Medine (Man Repeller), these new age self-made men and women have managed to make a career and life outside the cubicle. As the blogging industry gets bigger and better, the blogger is often seen as the new age role model; an aspirational figure who is inspiring a generation to have it all. Most importantly, the blogger is breaking the age-old dilemma of dream job vs. real job. Instead, the blogger encourages people to pursue their passion and make it their dream job. Scullers ‘This Is Life’ campaign celebrating life outside the work space seemed liked the perfect opportunity to do a post featuring few of my favourite bloggers who have managed to make a career and life outside the cubicle pursuing their passion and living their dreams. 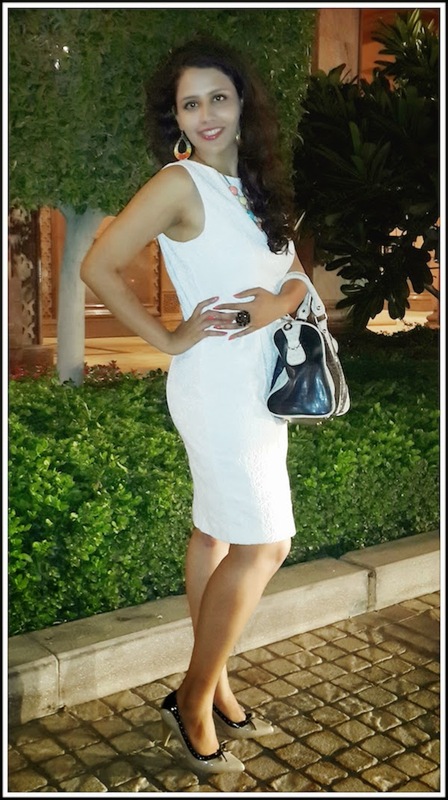 Meet Shreya Kalra, the uber-stylish girl from the blog For The Love Of Fashion And Other Things. 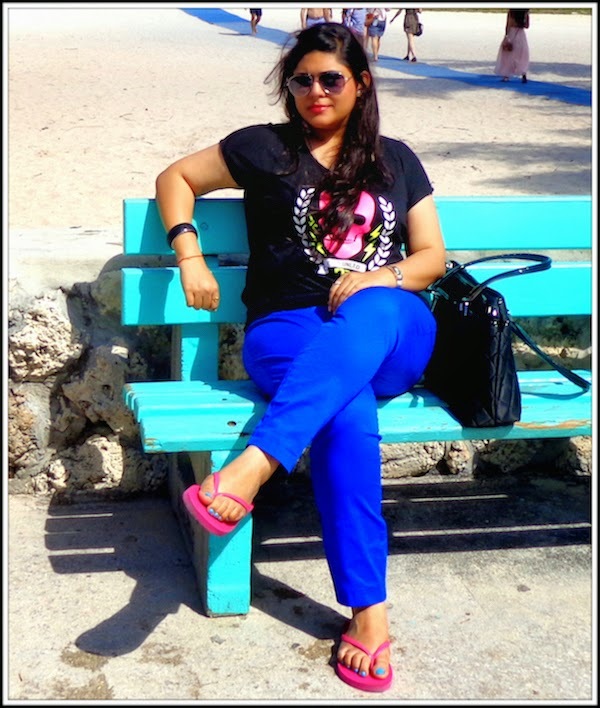 A lawyer by education, Shreya is a Fashion Content Writer at Creative Marketing Fix. Tell us about For The Love Of Fashion And Other Things? My blog is all encompassing. It moves from fashion to lifestyle and women centric issues. Primarily about my personal style, I also cover trend reports, a little bit of beauty, books and social issues. It started off as collating my outfit ideas and style inspirations on a digital platform, which is now so much more than just that. It is my nook to write as I wish for as long as I wish and to style outfits just the way I like them, without any other concerns. What do you love most about blogging and working outside the cubicle? It is extremely humbling when people you look up to appreciate your work and more than that, I personally feel flattered when I run into readers who talk about my blog as passionately as I feel about it. Of course, being approached for fun collaborations is an added bonus. Here's the story of Dakshin Adyanthaya and how his blog Bhooka Janta (which he co-owns with Pranali Punwatkar and Eshaan Mathur) came to be. 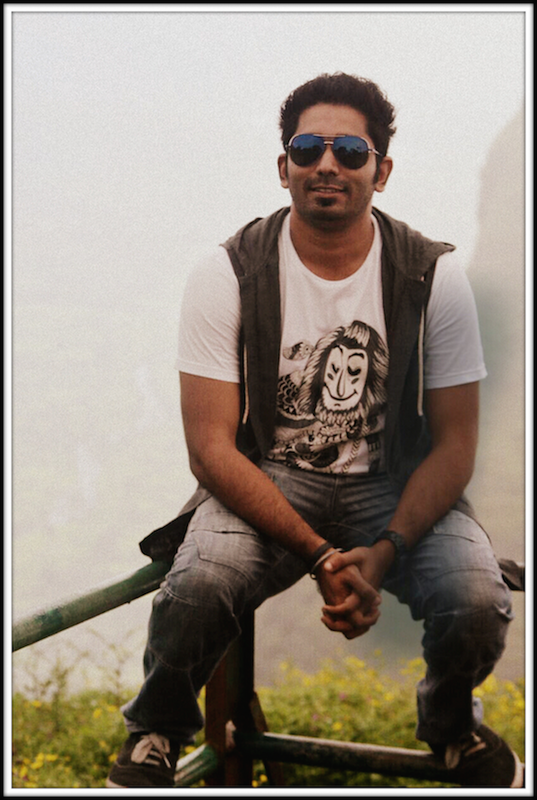 A food at heart and an explorer in spirit, Dakshin is a Social Media Team Lead in a digital advertising company called iProspect Communicate 2. What exactly is Bhooka Janta all about? Bhooka Janta is a food blog and we cover everything from reviews to recipes to features. In 18 months, Bhooka Janta has had a burger in BURGS named after it, been featured on the show Highway On My Plate Hills with Rocky & Mayur, won the runner's up award for the best Group Blog at IFBA 2013, has its recommendations in the Times Food Guide and more. There are three ways to know about different countries: One by its people, two by actually travelling there and three by food. The love for exploring new cuisines and also informing other, led us to blog about it. Connecting with people, understanding their taste and recommending them the best options in the city. It feels great when people read your blog, go by your recommendations and finally have a smile of their face when they love the food you have recommended. All this and plus the creative freedom you get to execute your ideas which might not be the case when you work in a cubicle. Somewhere between making topics trend on Twitter and trying out the latest shade of red lipstick, Anu Menon’s Musings of A Bombay Girl was born. Anu spends her days as a Digital Strategist- Outreach Specialist with DigitasLBi. Introduce us to Musings of A Bombay Girl? I've always been passionate about writing and my blog is an extension of myself. I blog about beauty, make up, food, short stories and poems. Musings of A Bombay Girl started of as a poetry and short story blog. As I started discovering make up and beauty, I felt the urge to share it with my readers who have been reading and supporting my poems. I was pleasantly surprised when my posts were well received. My readers’ comments and feedback made me explore food as well. It gives me immense happiness when my readers share with me how useful they found my blog. They value my opinion and I directly or indirectly influence their views. The sheer fact of knowing that people look up to your blog gives me a high sense of responsibility. I learn and unlearn everyday. Each day is a unique experience. Fondly referred to as the Grooming Guru, Riaan George of Urban Eye, is famous for three things-his impeccable style, his immaculate manners and his lifelong love affair with aviation. Man of many talents, Riaan is a Luxury Journalist, Magazine Editor and runs a weekend language school. At Urban Eye you will find? My three passions: Menswear, luxury travel and aviation. My regular job as a journalist requires me to be far more serious about my approach to content, researching features, quoting people, statistics etc. Blogging helps me to lighten things up. Write or post on social media about my favourite things in life - fashion, airplanes and luxury travel. Moreover, it helps me add a personal touch to what I post. My personal style is brought forth. It is always so fulfilling and rewarding when men ask for my opinion on fashion, or even when some of my female friends take tips from me when shopping for their partners. I also love when people ask me for travel tips. It makes me feel like I am doing a good job. On Twitter everyone knows her as the sassy Caramel Wings, but Ashrita Chinchankar is many things- a commercial pilot (on the job hunt as of now), a pastry chef and travel enthusiast being some of them. Share with us Caramel Wings’ journey. I bake custom cakes and cookies, and I write about what is new in the world of food. I have had the chance to travel a bit around the world and I truly believe that the window to any new city and their culture is via food. With my day job including extensive travel and my passion for writing I hope to one day bring to my readers the perfect mix between travel, lifestyle and gastronomical delight, and every single day I spend is spent getting closer to my dream! I started my blog as a diary for myself, but it grew into so much more; with all the nurturing it got from the readers. Once I knew that people out there are listening, it automatically made me want to write more often. Honestly, the best part is to be able to stay connected all the time. Whether I am on the go or multitasking, I can always access/update my blog. For baking I receive all orders via social media and being connected helps manage my content on various platforms all at once! By doing what they love, this is how these talented bloggers celebrate their life outside the cubicle. Your turn to share the same. Head over to Scullers This Is Life Facebook page and celebrate life with them. Post your pictures and tag #ScullersThisIsLife. The person with the highest number of SHARES (for a particular picture) will win Scullers gift vouchers. Nice post! Well working hard is the key to achieve your dreams. Awesome. It is amazing how some people come up with cool ideas. I really enjoyed reading this article. I’m actually glad to see all this stuff, Thanks for convey this. You can also check Latest Designer Salwar Kameez at Kalazone Silk Mill. Very good post, I am very much Impressed with this. This website has very good content thanks for the article. . I simply like the supportive information you supply in your articles. Good working on new fashion trends. We are really grateful for your blog post. You will find a lot of approaches after visiting your post. I was exactly searching for. Thanks for such post and please keep it up. Great work.